It’d be hard to overstate the importance of Greg Berlanti to Warner Bros.’ TV fortunes: As the chief architect of almost all of the company’s comic-based projects—including its many DC-branded shows, plus Riverdale—Berlanti has become a huge part of, especially, The CW’s recent gains in approval and appeal. (Dude’s got a total of 14 different shows in some form or another with Warner at the moment.) Which might explain why—in an age where big-name producers like Shonda Rhimes and Ryan Murphy are increasingly being lured away by the siren call of Netflix and its giant stacks of cash—Warner Bros. has just readied up its own big stack of bills to keep Berlanti close. 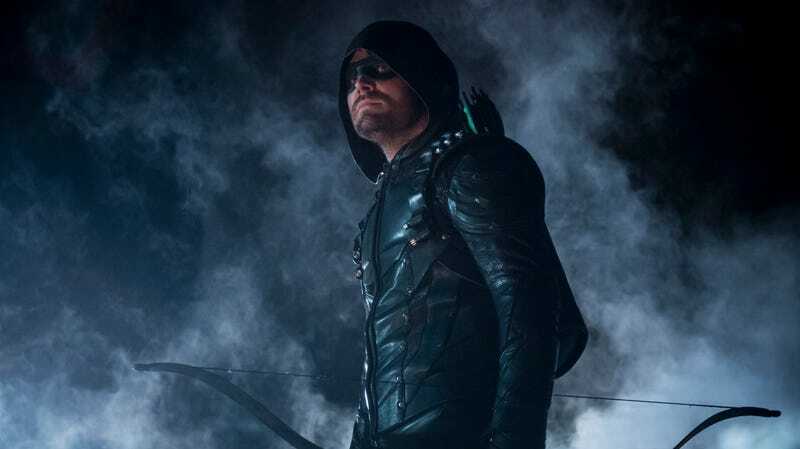 The other weird thing about the deal is that it’ll also see Warner buying up big chunks of Berlanti Productions itself; among other things, the studio is buying a lot of the profit participation agreements on Berlanti’s different shows. The idea here is that, because very few of the Berlanti-verse series have entered into the extremely lucrative world of syndication yet—a prospect that might actually be kind of tricky in the future, given their serialized, interconnected nature—Berlanti himself hasn’t made a ton of money off of the percentages he owns on them. By paying him for them now, WB is basically giving its golden child just one more reason to resist a big money payout from Ted Sarandos and his endless supplies of streaming cash (while also keeping him totally free to pursue his film work; his recent coming-of-age flick Love, Simon was a low-budget box office success).